What Causes More Damage to a Gym Floor Finish? 3. 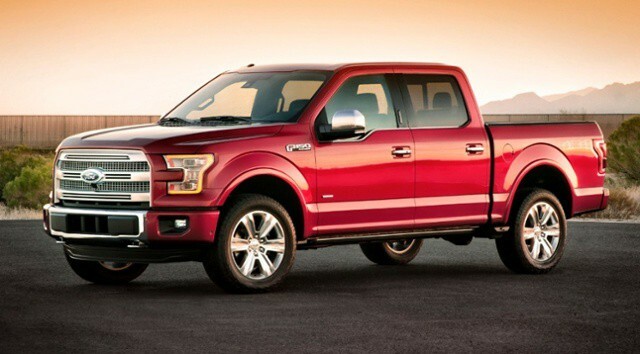 Ford F150 Truck ? The answer has been a frustration for Athletic Directors, Facility Managers, Special Event Coordinators and Facility Owners……. A 120 lb. 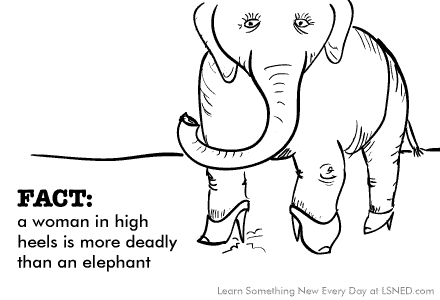 woman in Stiletto (high) heels can and does more damage than a 6000 lb. 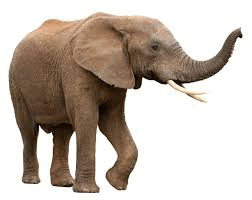 Elephant or a Chevy Silverado Truck tearing around your college gyms, church gymnasiums and high school gyms! Some of the worst damage we have seen as we travel the US, …..a gymnasium floor in a High School in Sioux Falls, South Dakota. During a special event where people attended in their finest attire, a woman with stiletto high heels walked the unprotected gym floor repeatedly. Her high heel tips would have done plenty of damage tearing up the finish of the gym floor, but unfortunately she was missing the protective tip off of one heel. The protruding nail dug into the floor causing ‘pockmarks’ from one end of the gy to the other. Scratches were everywhere. The gym floor and it’s finish had been totaled and the gym floor was a disaster! One person had managed to horribly damage the gym floor which would cost thousands of dollars to repair! 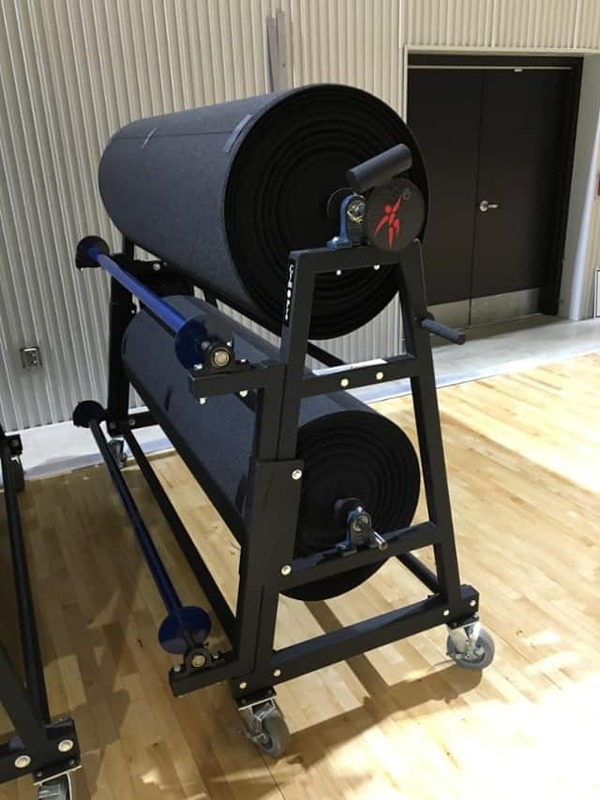 Once the damage was discovered, plans were quickly put into play to research gym flooring rolls or gym floor tiles and procure gym floor cover protection to prevent any further damage during special functions. 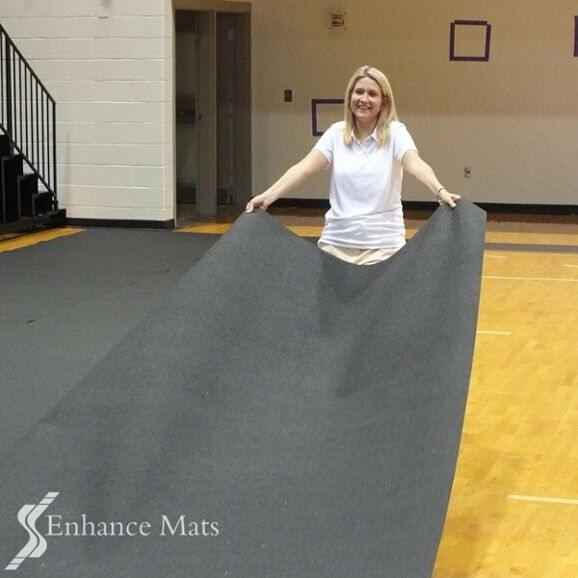 Enhance Mats did not need to emphasize the need for a protective gym floor protection! The lesson had already been learned, and that lesson had come at a ‘dsear’ price! 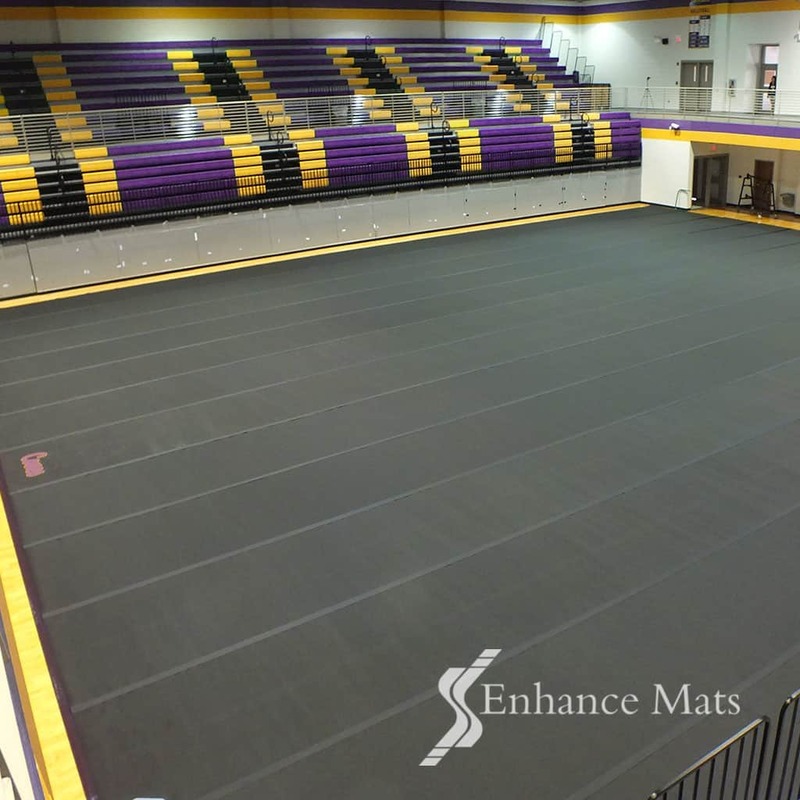 The school administrators realized that had they invested in a good cover and used it to protect the gym floor during special events, they would have saved themselves several times the cost of repairing the gym floor, as well as lots of aggravation and time. DO I REALLY NEED TO INVEST IN A GYM FLOOR COVER? The simple answer is Yes! Whether you have just installed a new gym floor, refinished your old gymnasium floor or are just now thinking about protecting your existing gym floor from player’s chairs during basketball games, floor protection is always a wise investment. 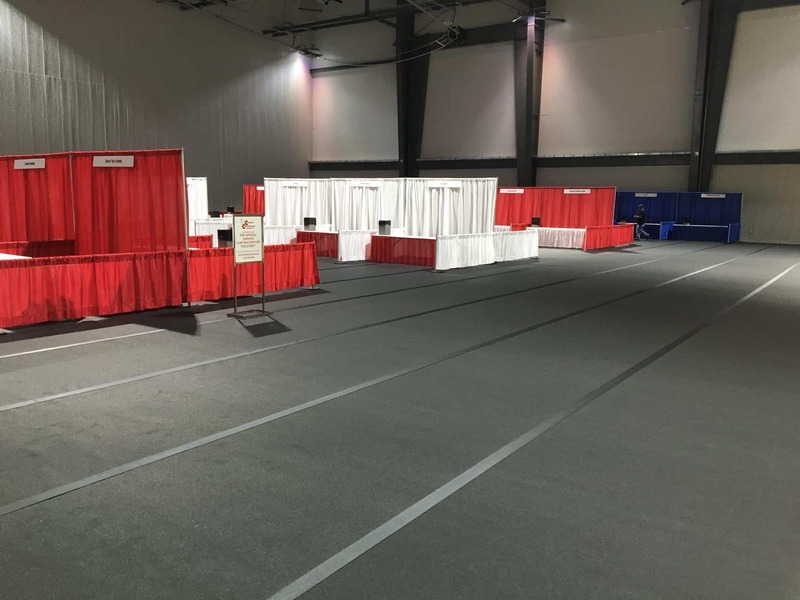 The cost of a good floor cover, either GymPro gym flooring rolls or gym floor tiles that will protect the finish of you gym floor is a fraction of the cost to refinish or even completely replace your gym floor. Your gym floor cover protection investment is a must! New gym floors can cost up to $200,000 and a gym floor refinish can cost $20,000+, not to mention the downtime needed to complete the project. Scrapes and scratches from chairs, tables, heavy equipment, scuffing from regular street shoes and high heels as well as spills can damage the gym floor surface and lead to the need for refinishing or even a complete replacement if deterioration is excessive. When Will I Use a Gym Floor Cover?